by synergistic combination of business, data, analytics and technology. 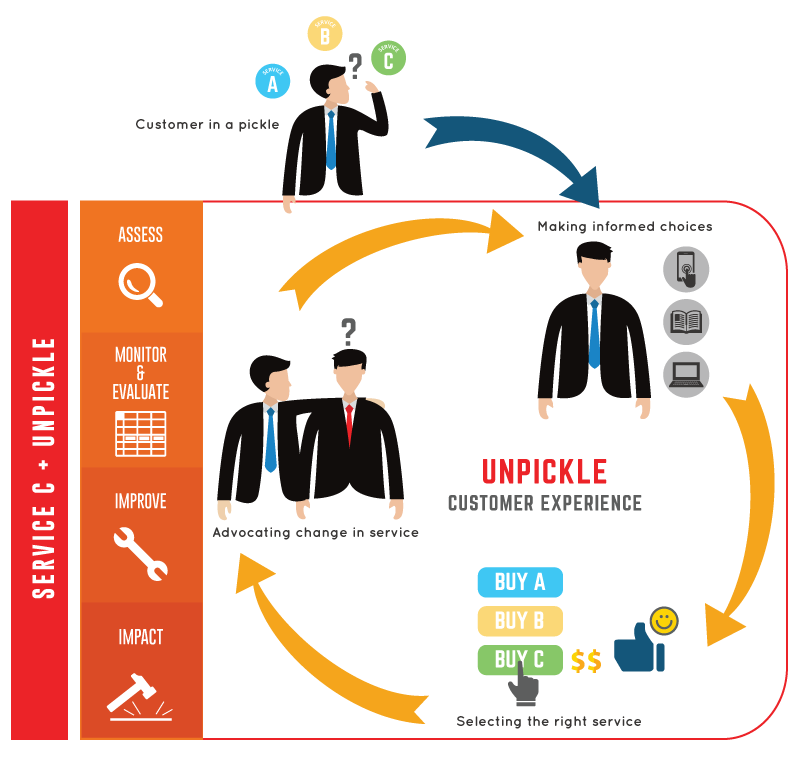 Experiences are not just simple judgments about the product, brand or service (“I like Unpickle”); they include speciﬁc sensations, moods, thoughts and behavioral responses triggered by speciﬁc interactions across various touchpoints. Experiences occur at various stages – information gathering, product / service decision and brand choice and purchase. The quality of these experiences drive interest and connect with the brand. Providing quality experiences, across customer touchpoints, requires efforts and planning. Customer Experience professionals strive to ensure processes and policies are equipped to deliver delightful customer experiences. While continuous delivery of delightful experiences requires constant nurturing and process improvement, many organizations try to do this via various methods, including Reengineering. But successful organizations go many steps further by measuring, monitoring and managing the quality of customer experience for every single customer that comes in touch with them. We are a Customer Experience Platform provider making consumer services more profitable, engaging and empowering; by synergistic combination of business, data, analytics and technology. Impact of 50K-$2Mn USD in various pay-per-use consulting assignments. Impact of $2Mn-$5Mn USD through pre-built accelerators created to enable personalized services by customer data integration across various touchpoints. Impact of $5Mn+ USD through Virtual Captive Model. We assess the impact of experiences across touchpoints on profitability across Service, Operations and Marketing functions. By redesigning services, automating business response and creating predictive devices for personalization, we are able to drive profitability. A diverse team of Analytics, Technology and Business experts with experience across sectors like BFSI, Telecom, FMCG, BPM, Consumer Durables.